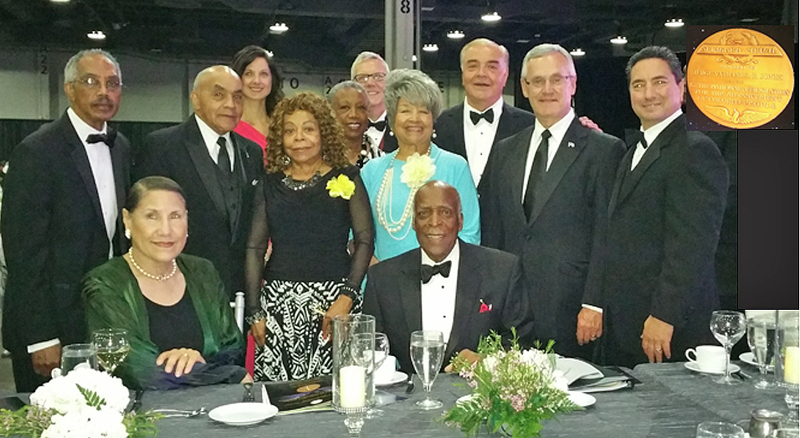 Retired federal judge and Youngstown State University alum Nathaniel R. Jones received the 101st Annual Spingarn Medal at the National Association for the Advancement of Colored People 2016 Convention in Cincinnati. Jones, 90, who earned bachelors and law degrees from Youngstown College in the 1950s, joins a list of prominent previous recipients of the award, including George Washington Carver, Rosa Parks, Thurgood Marshall, Jackie Robinson, Maya Angelou, Colin Powell, Sidney Poitier and Martin Luther King Jr. 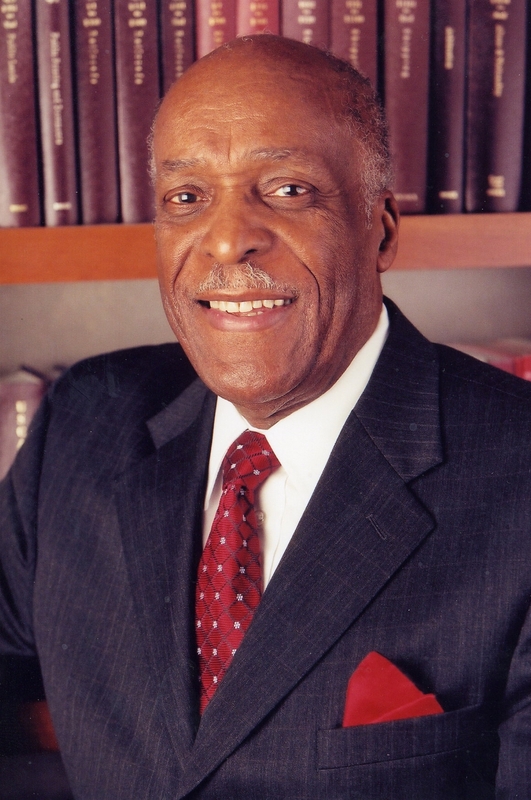 The medal, named after an NAACP founder, recognizes Jones, an attorney and retired U.S. Sixth Circuit Court of Appeals judge, for his commitment to equality and civil rights. He served as general counsel for the NAACP from 1969 to 1979 and worked with Nelson Mandela and the post-apartheid South African government to help draft a new constitution for that country in 1993. 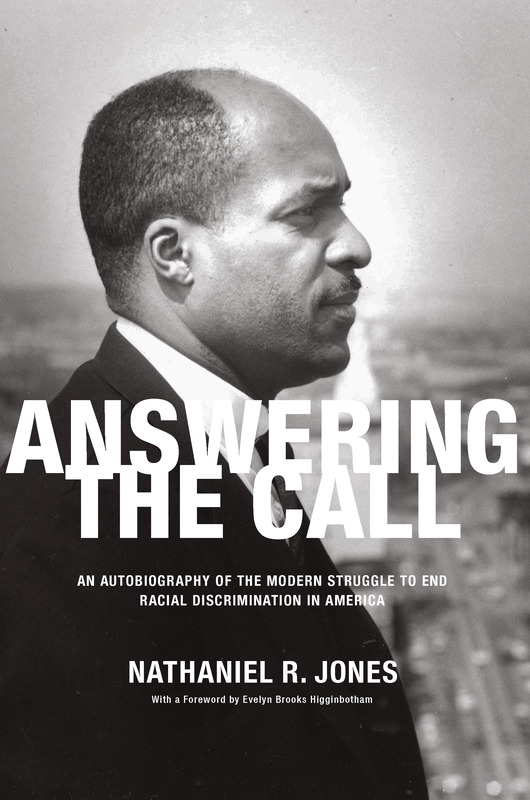 Jones grew up during the Great Depression on Youngstown’s South Side, playing football for South High School and serving as president of the city’s Youth NAACP chapter. Pictured seated are, from the left, Dr. Evelyn Brooks Higginbotham and the Honorable Judge Nathanial Jones. Standing, from the left, are: Richard Atkinson; Willard Boyd; Heather Chunn, vice president, YSU Foundation:, Dr. Joan Boyd, YSU professor emeritus; Eugenia Atkinson, YSUF trustee: Paul McFadden, YSUF president; Millicent Counts, YSUF trustee: Tony Cafaro, YSUF trustee: Jim Tressel, YSU president: Jude Nohra, YSUF trustee. An Air Force veteran of World War II, Jones used GI Bill benefits to help pay his way through college and law school, also working as a printer and editor at The Buckeye Review, a newspaper in Youngstown founded by his friend and mentor, J. Maynard Dickerson. He gave up his activism a decade later, however, when President Jimmy Carter appointed him to the federal judgeship. He continued to be involved in civil rights matters elsewhere in the world. Jones consulted with drafters of the South African constitution that abolished apartheid and served on a team of observers for the first democratic election there. He has taught at Harvard Law School, the University of Cincinnati College of Law and the North Carolina Central College of Law and co-chairs the National Underground Railroad Freedom Center. The Spingarn Medal is the latest of several awards received by Jones. Other include the Pillar of Justice Award from the Federal Bar Association, the Changing the Odds Award from the Children’s Defense Fund, the American Lawyer’s Lifetime Achievement Award, the Thurgood Marshall Scholarship Fund Award of Excellence and the Millennium International Volunteer Award from the U.S. State Department. He also has received the YSU Friend of the University Award, and in 2003 the new federal courthouse in Youngstown was named the Nathaniel R. Jones Federal Building and United States Courthouse.